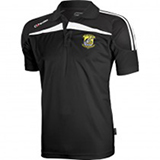 Club Registraton for Kilmeena boys and girls football teams will take place in Fahy Community Hall on Wednesday, January 28 from 8:30pm until 9:30pm. 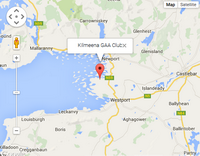 On Thursday, January 29 a registration evening will take place in Kilmeena club house from 8:30pm until 10pm. A Final registration will take place on Sunday, February 8 in the club house from 8pm-9pm. We will have packages to suit all members and we are delighted to announce that prices will remain the same as last year. Membership will close on April, 1 so, its important to note that all players must have their membership paid up in advance of the commencement of training or matches, otherwise they are not covered by insurance to partake. All children attending registration evenings must be accompanied by a parent or guardian. We are looking for more girls to become involved in our different age groups u8, u10 ,u12 and u14. This year we hope to enter an under 16 team and are asking girls who would like to play with Kilmeena Ladies to please come along to any of the above registration evenings.